In just three days, a Mediabistro career advisor will offer you laser-focused input to update and upgrade your resume so it highlights your best achievements and enables you to confidently apply for the job you want. A second look and revision once you have addressed your expert’s questions and comments. Pricing is based upon a 2-page resume; more than two pages will incur an additional cost of $50 per page. Want a discount? Become a member by purchasing AvantGuild Membership or MB Unlimited. Thank you again, Alex. This is great work. I will refer you to anyone who asks. It was a great overall process! "I wanted to sing the praises of Alex and his work on my resume and cover letter. I think he did a great job with his write up of all my skills, and asked thoughtful questions and was good at implementing all the answers given." Thank you. This is great. I appreciate the resume and cover letter you created. Will be sure to recommend your services to others. Thank you so much!! 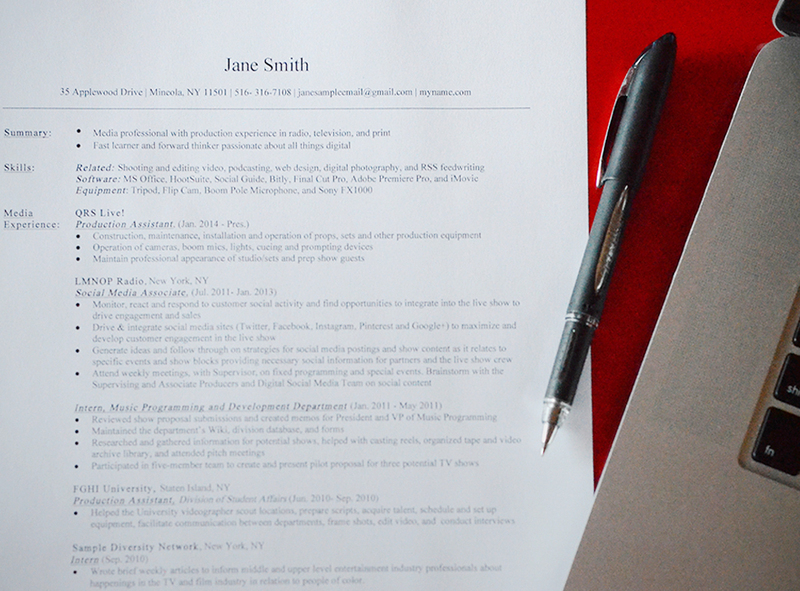 You're a resume editing genius! My cover letter and resume look 100% better. I can't wait to apply for my next job now that I have a decent resume. Joey, Thank you soooo very much for your help on the resume/cover letter. You rock!! Your suggestions were excellent and I'm pleased to see my printer spitting out less red ink this time. I actually did get a job with the San Mateo Times, so thanks for your contribution to this. Take care, I'll be sure to recommend my friends to you whenever they need to get their stuff in line. Many thanks for your efforts here, Mr. Twersky. You have made terrific suggestions. I found the remarks helpful and took many to heart. You were responsive to my questions and prompt in your review. Thanks." Just wanted to thank you for hooking me up with Timothy Haft to re-do my resume. I had been worried that there was a glaring error that was responsible for my never getting any responses to my resume. Fortunately, or unfortunately, as that might have been a magic bullet--there was no such glaring error, but Timothy very patiently walked me through a cleanup and re-write that I'm very comfortable with. Thank you again for this very good service. It did involve a lot of work on my part, but the finished product is something I'm confident about. As far as getting some feedback on the Resume Revamp, I'm happy with it. You clarified [my resume] and made me change things so that it flowed better and was more concise and to the point and just overall 'cleaner'. So, it didn't disappoint. It showed me which details I should leave in, add, and take out to make it look better and have relevance to my experience and what I want others to understand about me.